Tina sent in this catastrophically ironic sign from Naples, Florida. 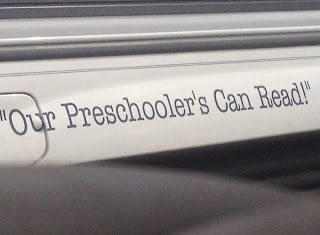 Good thing this statement is in quotation marks because it probably isn't true. Fortunately, the mall's big department store, Boscov's, provided me with this gem. At least they didn't write "bikini's" to go along with "ladie's." 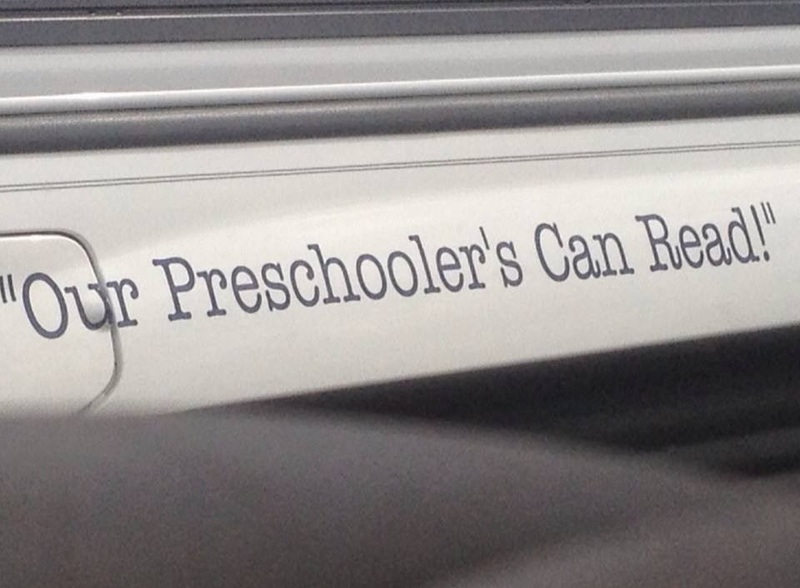 When I first saw this apostrophe catastrophe from my friend Irene (a.k.a. 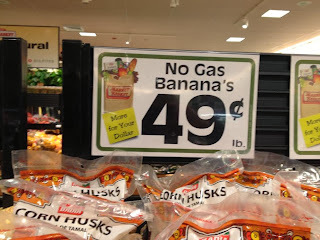 my friend Ethan's mom), I thought, "Bananas cause gas?" But apparently it means that they aren't unnaturally ripened using gas or something. I'm not up on all these organic food trends. I especially love this catastrophe because it's from Market Basket, which is, well... just check out this website. Some may disagree, but I say it's worth dealing with the chaos of Market Basket to pay literally 1/3 of what I would pay at Whole Foods or Shaw's.